There’s a proper order to everything: learner’s permit before driver’s license, dating before marriage, coffee before milk. When we’re talking about preparing your skin for makeup, the proper order is a matter of primer before foundation. And while some might think the step is unnecessary, if you’ve ever noticed your makeup caking or flaking after a few hours of wear, the very thing you’re missing is a good primer. 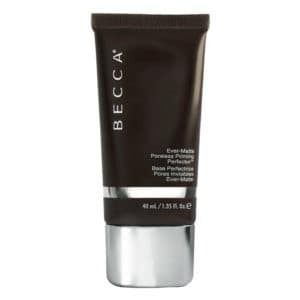 Primers prepare your skin for everything from a full face of makeup to a simple tinted moisturizer. It creates an extra layer between your skin and your makeup that’s conducive to all-day wear and smoother, even skin tone (with less shine). 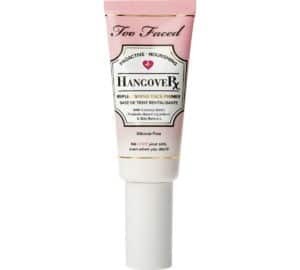 There are cream, gel, and powder primers that are formulated specifically for face, lips, eyes, and even lashes. Coveted for their ability to cover fine lines, pores, and uneven skin tone, many primers are made with silicone-based polymers such as dimethicone. 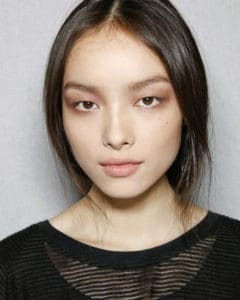 But if you have sensitive or breakout-prone skin, primers formulated with silicone might cause irritation, allergic reactions, or acne flare ups. In their place, water-based primers offer the same benefits with an oil-free and mattifying effect that won’t clog pores or irritate skin. For those of us who need all of the performance of silicone primer in a formula that’s lightweight, noncomedogenic, and full of skin beneficial ingredients, we’ve gathered the top 15 best water-based primers. Read on to learn more about them. We love when a product does more than what we expect from it – like this 3-in-1 primer, setting spray, and moisturizer. 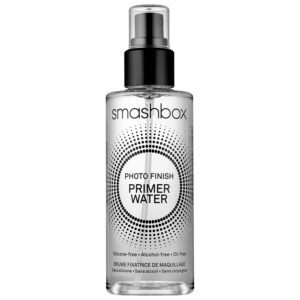 Infused with electrolytes that protect your natural moisture barrier, use this spray-on primer before and after your makeup routine for all-day wear with a blast of ultra-hydration and softening. 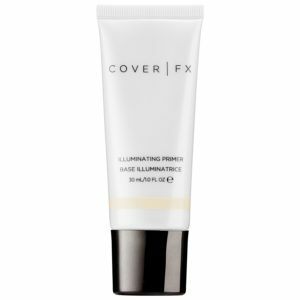 To accommodate all skin types and tones, Cover FX designed their water-based primer with ultra-refined pearls that reflect light and your natural complexion for a perfectly-matched base. But that’s not the only part of the formula working to make your skin radiant. It’s also formulated with antioxidant vitamins C and E to protect your skin against free radical damage. 100% Pure is a vegan, toxin-free, sustainable skincare brand that we can’t get enough of. Somewhere between a primer and an anti-aging serum, this product is no exception. Not only does it do all the essential duties of primer – i.e. controlling excess oil, smoothing the skin surface, and helping makeup last longer – it does so with high quality, natural ingredients like collagen-boosting seaweed and hydrating aloe. If you struggle with oil and shine, you probably suffer from breakouts or cystic acne that enlarges your pores and wreaks havoc on the texture of your skin. 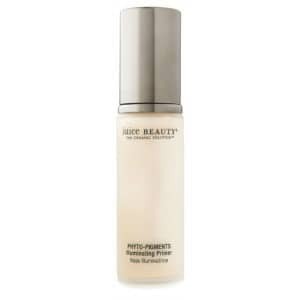 This oil-free matte primer can be worn on its own or under makeup to control oil, even the skin surface, and reduce the appearance of pores. Made with all skin sensitivities in mind, it’s also formulated without known irritants like alcohol and fragrance. If your more concerned with fine lines and wrinkles than breakouts, shine, and skin irritations, Becca has created their Backlight Primer ($37). Enriched with vitamin e to minimize fine lines and wrinkles, it also protects your skin from environmental damage. 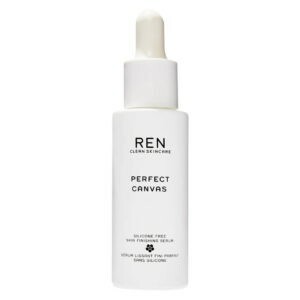 REN has harnessed all of the protein and enzyme-boosting properties of probiotics and infused them into this matte and very popular finishing serum made for dry, mature, oily, and combination skin. No longer just for kombucha, probiotics are powerful and unique ingredients that improve the functioning of your skin as well as its appearance by improving cell cohesion and the quality of epidermal growth. But other standout ingredients worth mentioning are the moisturizing hyaluronans, priming agave tequilana extract, as well as bacteria-fighting glucans. 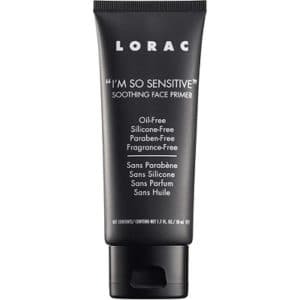 In this weightless and ultra-hydrating primer, Lorac has replaced all the oil, parabens, and fragrances with vitamins, antioxidants, and plant extracts that your skin will thank you for. “I’m so Sensitive” is formulated to soothe and calm skin that’s prone to sensitivities, including breakouts and irritations, and its safe for use on all skin types. 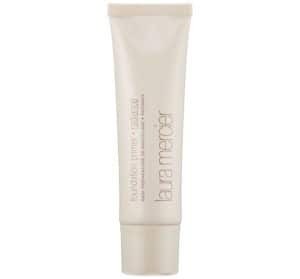 Laura Mercier uses stay-true color technology to ensure that your primer matches your makeup every single time. The creamy gel texture allows for easy application and maximum coverage but with very little pigment, so what you build on top is what really counts. Plus, it contains vitamins A, C, and E, which brighten, tighten, and protect your skin while the primer keeps your makeup in place. This organic brand understands that, as the closest makeup to your skin, your primer should be tailored to your skin type. 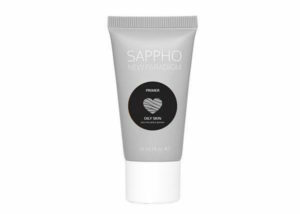 That’s why, whether your skin is on the dry or the oily side, Sappho has a primer for you. The dry skin formula delivers hydration where the oily skin formula creates balance – but both are packed with phytonutrients and antioxidants that refresh and nourish your skin while keeping your makeup in place. 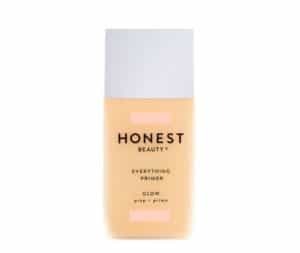 While so many of the best water-based primers have a matte finish, Honest Beauty intended their Everything Primer to give you a subtle but luminous glow in a sheer golden hue that can be worn on its own or as the base before applying foundation. But not only does it make your skin appear glowy, it’s also imbued with ultra-hydrating hyaluronic acid, so your natural moisture adds to that refreshed look. 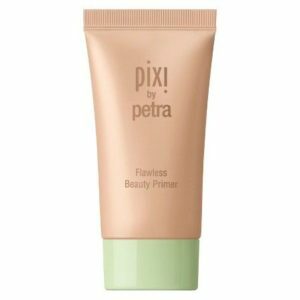 If you often find yourself going from day to night without a chance to reapply your makeup, a translucent primer might be your next best friend. You can use them throughout the day to retouch makeup that’s gone – or is likely to go – awry. And this water-based formula reduces any risk of those reapplications clogging pores and causing breakouts. In fact, it’ll make breakout-prone skin look more flawless than ever. What’s pomegranate doing in your primer? It’s delivering vitamins A, C, and E as well as tannins to your skins’ surface, tightening your pores, and protecting your skin from the free radicals it’s exposed to day in, day out. As if that wasn’t enough, Korres also included 5% willow bark and 5% with hazel in their primer formula – so your skin is balanced, your pores are cleansed, and your shine is all but forgotten. Coconut water is the star ingredient of this primer that’s equal parts replenishing, tightening, and brightening. With a light and dewy finish that looks not only natural but also healthy, the creamy primer goes on smooth and promises all-day hold for bronzers, foundations, and powders alike. 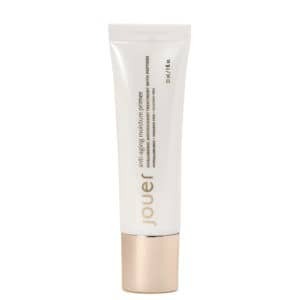 Peptides are something we expect in our anti-aging serums… but Jouer says we can have our cake and eat it, too. Which is why they’ve packed their primer with peptides that target skin elasticity as well and fine lines and wrinkles. 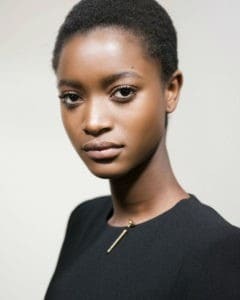 And for even more mature-skin benefits, they’ve added moisturizing Argan oil and shea butter as well as powerful antioxidants like ginseng and gingko biloba extract. While we’re on the subject of makeup primers that perform double-duty as anti-aging skincare, we have to mention this collaboration between Dr. Barbara Strum and infamous MUA Monika Blunder. Silky soft and calming, it’s filled with anti-inflammatories and antioxidants to prevent damage as well as ingredients that target the most visible signs of aging including dehydration, fine lines, and wrinkles. For the clean-beauty consumer, we couldn’t forget Juice Beauty’s certified organic primer. Formulated to work seamlessly with all types of foundations, it contains coconut alkanes for hydrating, organic glycerin to regulate your natural oil production, and vitamins that protect and nourish your skin – all at a price point that’s on par with the non-organic alternatives. As the barrier between your skin and foundation, your primer has more impact on the health of your skin than any other single form of makeup. That’s how, formulated with the right ingredients, the best water-based primers can act both as a high-performance base layer and as a skincare product that targets everything from enlarged pores to fine lines and wrinkles.